A relentless rise in average life expectancies in Japan will eventually become a huge challenge for today's Millennials, with more of them marrying later and having to provide long-term care for their aging parents just as they are starting to raise their own children. This has been a concern for some time. For example, Ministry of Internal Affairs and Communications statistics for 2012 showed that 487,000 people had quit their jobs over the previous five years to care for their parents. The statistics also indicated that one in 10 of those providing parental care were workers younger than 40. 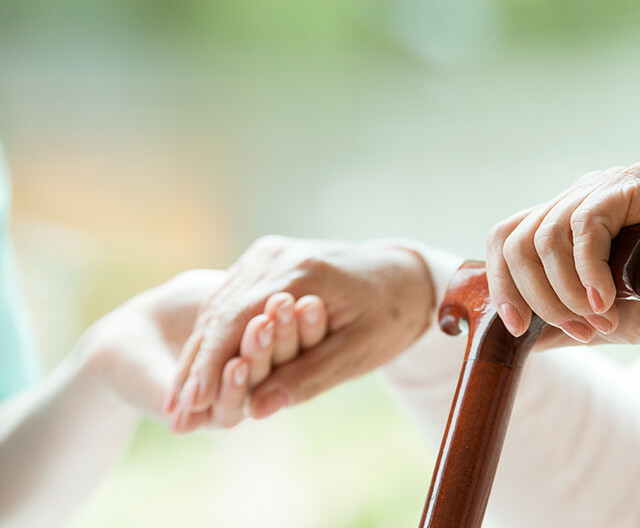 Sorting out how to leverage technology to lighten caregiver workloads is a vital social challenge that sensor technologies based on the Internet of Things (IoT) could help resolve. This opportunity led to a project to develop a bed sensor system that brings together Ricoh's focus on the healthcare arena with MinebeaMitsumi's advanced sensor module technology. 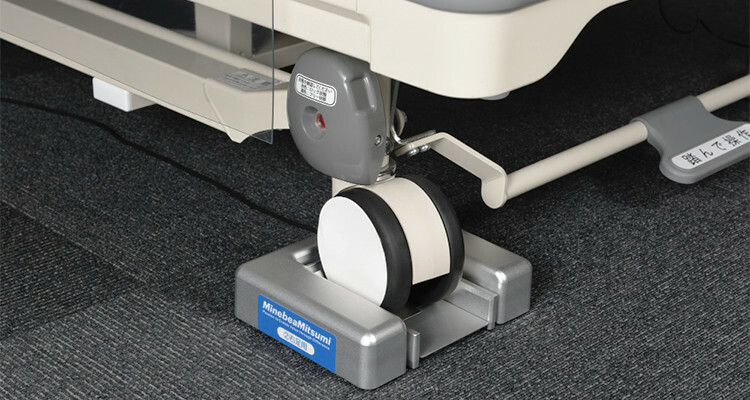 Load cells under bed casters are designed to be used on regular and carpeted surfaces. MinebeaMitsumi's patented high-precision load cell technology lies at the heart of the bed sensor system, delivering a resolution of one part in 100,000. The technology has a proven record worldwide in commercial and consumer scales. 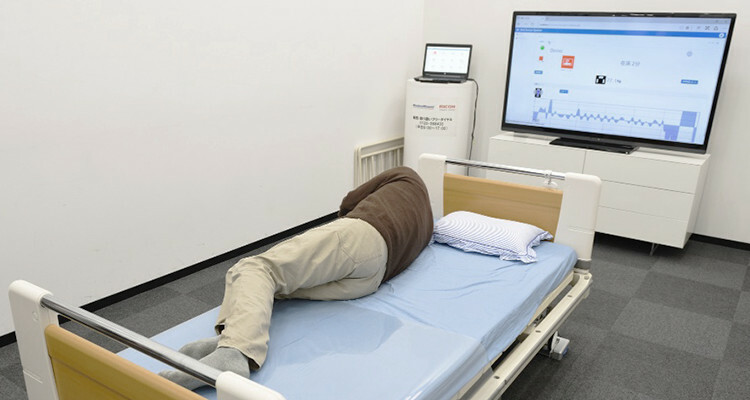 In this bed sensor system demo, the monitor warns that the patient is sleeping on the edge of the bed and shows his vital signs based on his reference weight and respiration. This research produced practical results in just two years, attesting to the utility of sensor technology in the care field. Bed sensor project participant Toshiaki Nishimura of MinebeaMitsumi says that, "What makes the technology so different from existing counterparts is that it can so precisely measure both big and tiny movements on beds." That means that the technology could ultimately gauge the pulse of a sleeping person. Ricoh's roles in the joint business development effort are to analyze server records and data and oversee commercialization. Toshio Miyazawa, who heads Ricoh's Healthcare Business Center, notes that the company has two prime technical goals with the project. These are to streamline eldercare facility operations and to help residents to become more self-reliant. 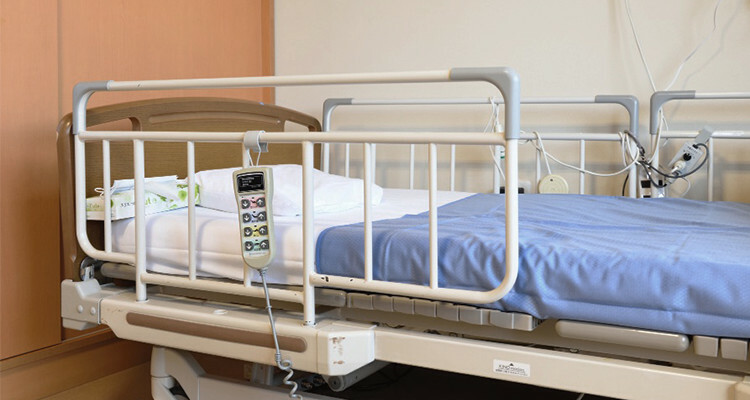 Several eldercare facilities are taking part in demonstration tests of the bed sensor system. Such places are often reluctant technology adopters, so one consideration in the bed sensor project was the extent to which operators would accept IoT. 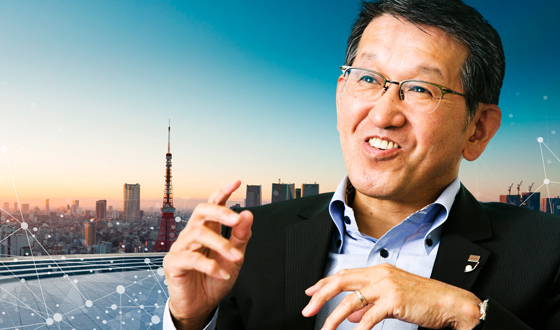 Ricoh Healthcare Business Center leader Toshio Miyazawa says that streamlining facility operations and helping people become more self-reliant are key goals of the bed sensor system project. Long-term care facility Asunaro began participating in bed sensor system demonstrations in August 2017. 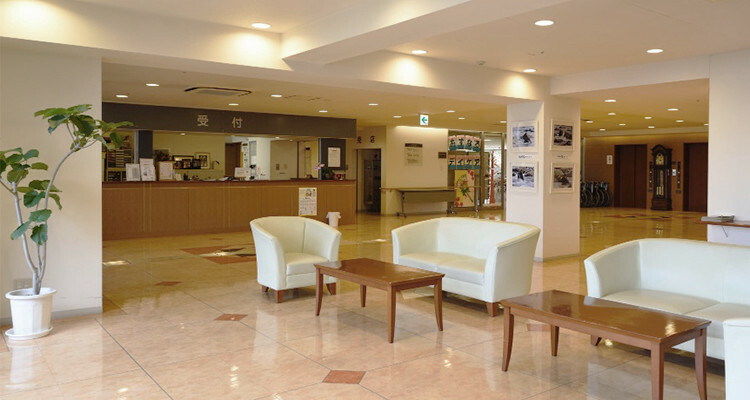 Asunaro, a long-term care facility in Yokohama, began assisting with the project through two beds fitted with sensor systems from August 2017. Masaki Takamatsu, Asunaro's administrative section head, is overseeing on-site sensor system testing. He notes that, "We were already interested in adopting information technology tools, as as more long-term facilities have started using them recently. But of course you don't know whether something is any good until you try it. We decided to take part in this project because we believed that the system would generate a lot of valuable information." Nighttimes are particularly challenging for care facilities, as the personnel ratio can drop to one caregiver per 20 residents. Workers normally check rooms and respond to nurse calls and must also keep tabs on possible changes in the behavior or physical conditions of residents, naturally trying to avoid disturbing people around them. 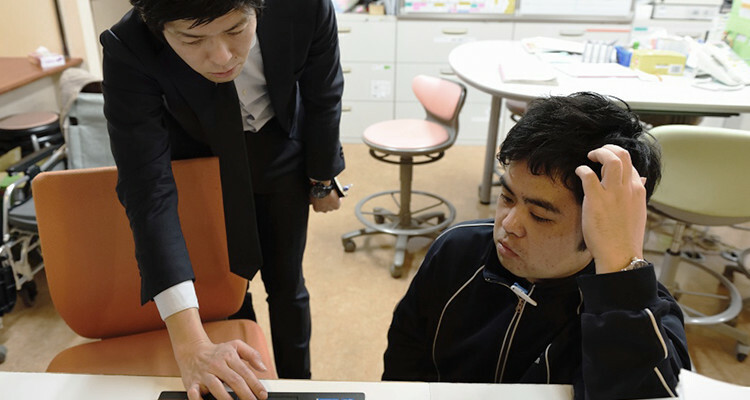 A Ricoh Japan employee (left) and Asunaro caregiving head Akira Sakakibara discuss bed sensing system sensitivity and the user interface design as part of the regular feedback process. Akira Sakakibara runs the bed sensing system as Asunaro's caregiving manager. 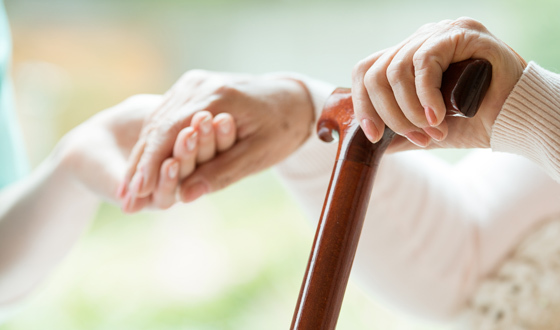 He notes that, "Most care facilities already have some sort of sensing device in place to manage safety, from foot sensors that inform staff when residents are leaving their beds to touch sensors on handrails." In explaining the work of caregivers, he emphasizes the stress associated with nightshift duties. One stress factor is the ever-present risk of residents falling when out and about or getting up from bed to walk around. 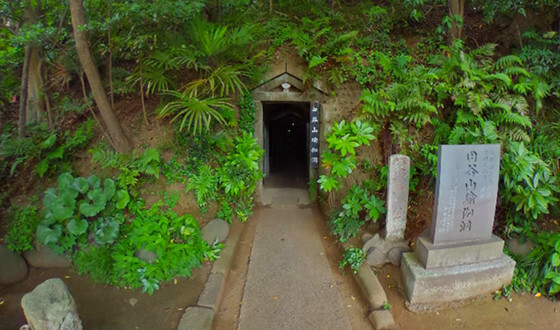 But according to Mr. Sakakibara, using sensors to protect residents can also pose challenges. One is that even if a facility is acting in good faith many people are uncomfortable with devices being visible or with having to wear sensors because they feel constantly watched. As a result, he says that, "Quite a few residents hate turning sensors on. They might refuse to put on their foot sensors or adopt a strange posture in bed so they don't touch handrail sensors." Facilities like his would therefore benefit from technology that eliminates concerns for staffers or residents and consistently keeps people safe. 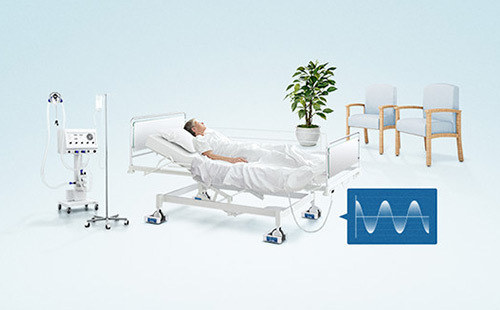 An experimental bed sensor system at Asunaro transmits Wi-Fi signals to notebook PCs located at a nurse station. Here, an experimental screen shows log data from the bed sensor system that indicates when residents are up from their vital signs and helps monitor bed times. According to Mr. Sakakibara, the new bed sensor system offers three key benefits. 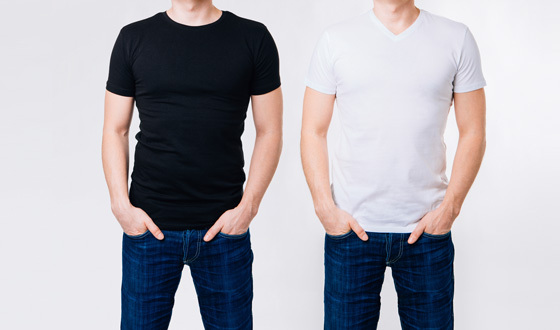 The first is that the sensor is effectively invisible to people. The second is that the system constantly logs and sends situational information. Third, the system makes it possible to objectively assess sleep and wakefulness patterns. Mr. Sakakibara says that an important part of caregiver work is tracking whether residents have awoken to be ready to help those wishing to get up or leave their rooms. He notes the trial and error nature of the system development process with Ricoh and hopes that additional functions will result. A good example would be to incorporate site feedback into nurse call links for alarms signaling that people have left their beds. That is because nurse calls are central to a lot of action at care facilities. Mr. Sakakibara thinks that such links are essential to ensuring the introduction of bed sensor systems without disrupting work flows. 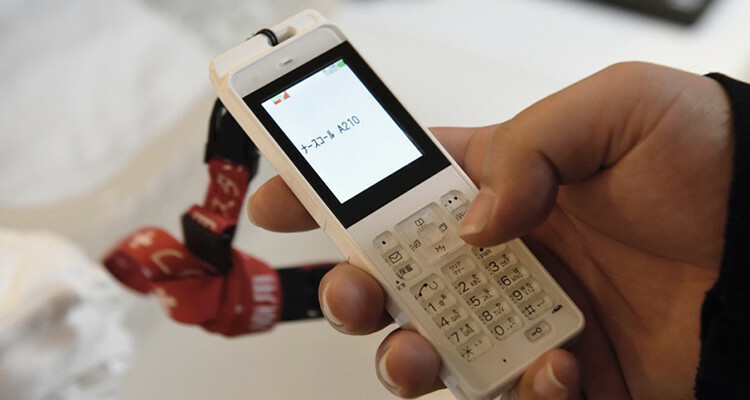 When a resident at a bed sensor system-equipped facility gets out of bed a nurse call message goes to caregivers' Personal Handy Phone system handsets. This feature resulted from facility feedback. Says Mr. Sakakibara, "A nurse call is plenty enough for caregivers to know what is happening with beds. 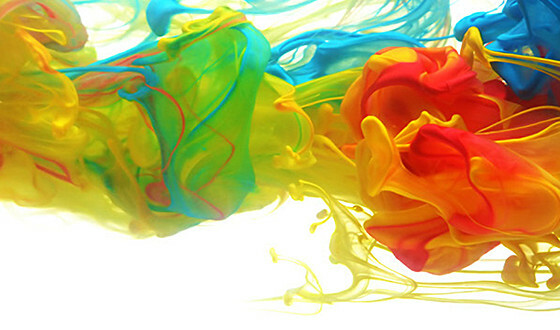 Workers aren't yet ready to handle complex analytical tools. And it's meaningful to keep data trails because this makes it easy for day and night staffers to keep each other up to date with what has happened. Information accuracy tends to decline with handwritten diaries and verbal briefings. On occasion, it has been impossible to know what has happened on a shift. We hope the bed sensor system can resolve such issues." Another benefit of the system is that records can be kept for a long time to provide months of sleep and activity information. 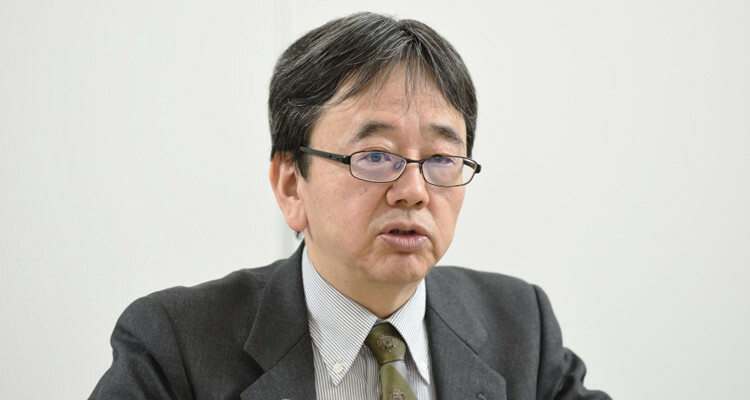 Mr. Sakakibara says that one possible application would be for facilities to be able to sit down with residents' family members during visits to produce care plans and share lifestyle suggestions based on nursing logs. 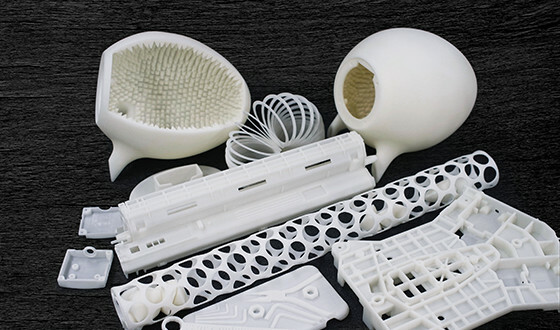 Over the first six months or so of trialing the bed sensor system, Asunaro continued to use its conventional analog sensor tools. Then in February this year management apparently considered doing away with these older tools and switching exclusively to the system. 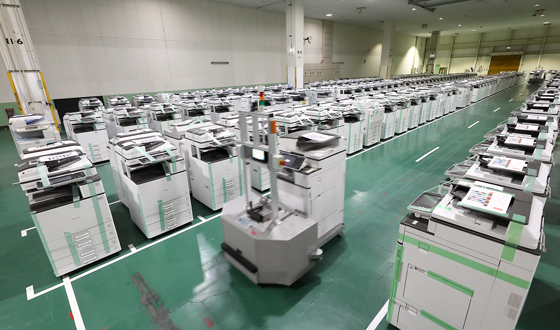 Mr. Sakakibara says that, "As we trialed the system its precision increased with each version upgrade. And as the number of sensors decreased the residents and caregivers alike found the system more user friendly. Some caregivers concurrently using conventional sensor tools are ready to retire them." 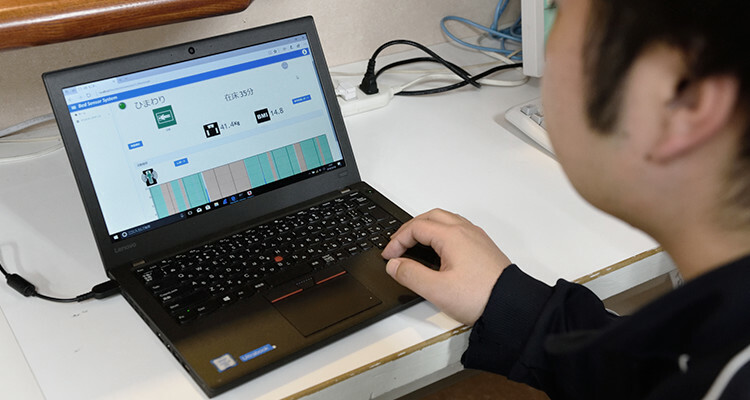 As part of joint sensor system research with Chiba University, MinebeaMitsumi is measuring breathing rates, depth, and other vital signs at the university's medical facility. There is still apparently tremendous upside for the range of data that can be captured with the system's four sensors. Ricoh looks to commercialize the bed sensor system later in 2018. 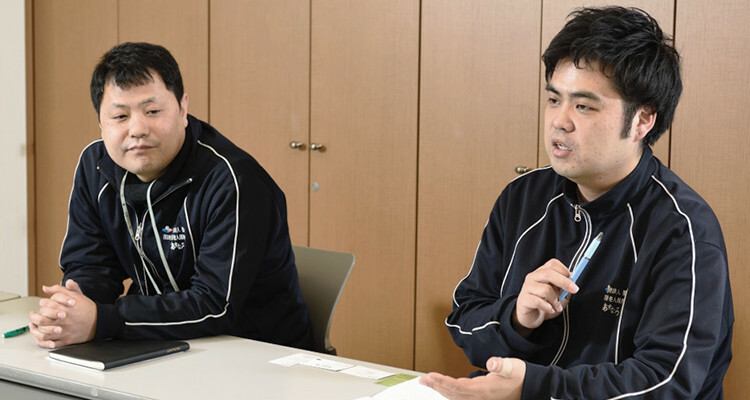 Masaki Takamatsu, Asunaro's administrative section head (left), and Akira Sakakibara, Asunaro's caregiving manager. While work will continue for the foreseeable future on commercially deploying the bed sensor system, this setup could soon become available for residential usage at affordable prices, as the technology has already matured. 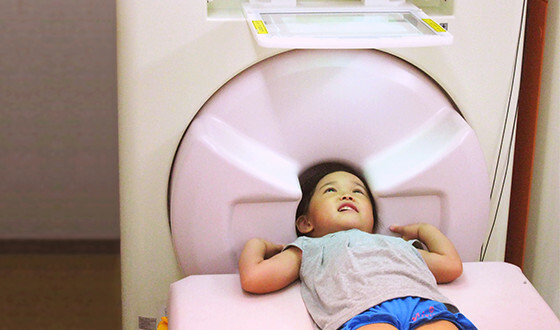 Once that happens, countless people may at last be able to keep working while ensuring that their parents are safe, with Ricoh and MinebeaMitsumi continuing to explore ways to make a declining birthrate compatible with an aging society.